God is providing a little respite for me in my loneliness. Friend Mona, came for a brief and fun visit. It is exciting exploring the city with friends--all new adventures for both of us. We went to the famous Fort Worth Stockyards--including a walk through Billy Bob's at 3:00 in the afternoon (not much happening at that time of the day) and the opportunity to see the longhorn steer cattle drive --complete with REAL cowboys/girl. As they walked the animals with horns that could skewer a couple of us easily past the crowded sidewalks-, I was amazed. Their eyes were on the drover at the front of the parade and they seemed to ignore anything to their sides--they were following the leader---with no never mind to anything else. This brought to mind the sheep that we raised during my youth. There was always a leader in the herd of sheep. Sheep are not very smart animals and without defense-totally dependent and trusting. When we took them to different pasture, you could walk in front and they would follow- with their eyes on you--never faltering or distracted-they followed where you led. The sheep following the shepherd. 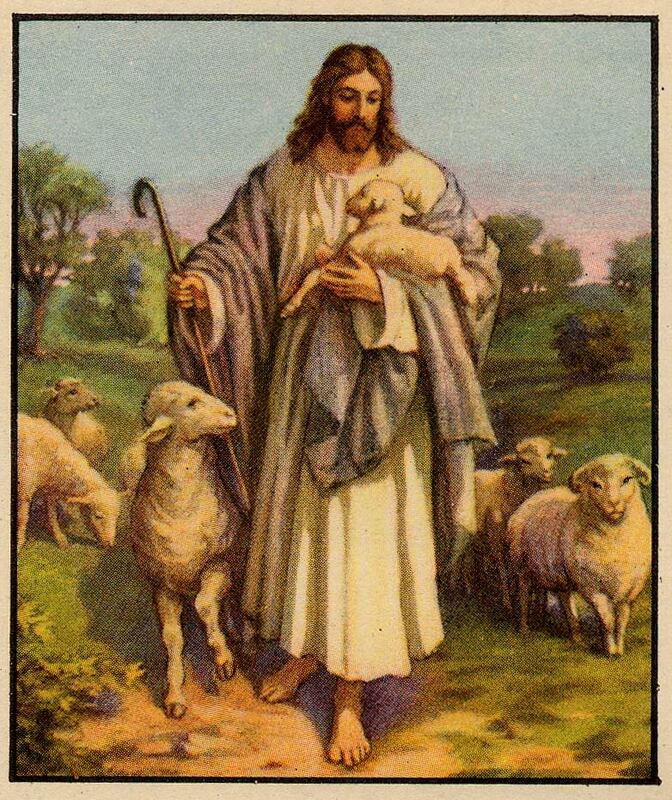 The word picture of the shepherd and the sheep is God's use of a beautiful analogy in the scripture. He is totally trustworthy--we can have faith in Him--HE IS OUR RIGHTEOUS DEFENDER AND PROVIDER and we are totally dependent upon Him. 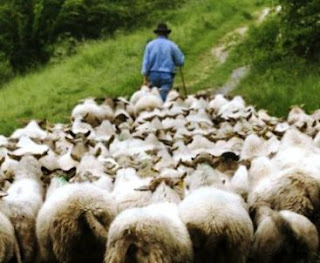 The secret to following our Shepherd---just like the sheep and the steers--keeping your eyes upon our Leader and not being distracted by the world around ---walking in complete faith and with the hope and assurance of greener pastures--somewhere down the path --Where He leads-I will follow. Thank You for the positive feedback and encouragement after the publication of the book. My greatest and deepest satisfaction is the statement that God will use this to help others walk the grief path. That is the primary purpose of the book--praying God uses it for His Glory. That's no doubt absoultely right every group in the world needs a leader to plan and direct. Sheeps are good example of it. Part 2 is dedicated to giving you eight nuggets to help you succeed under an insecure leader.